It’s officially October so it’s time to start doing Halloween crafts with the kids. 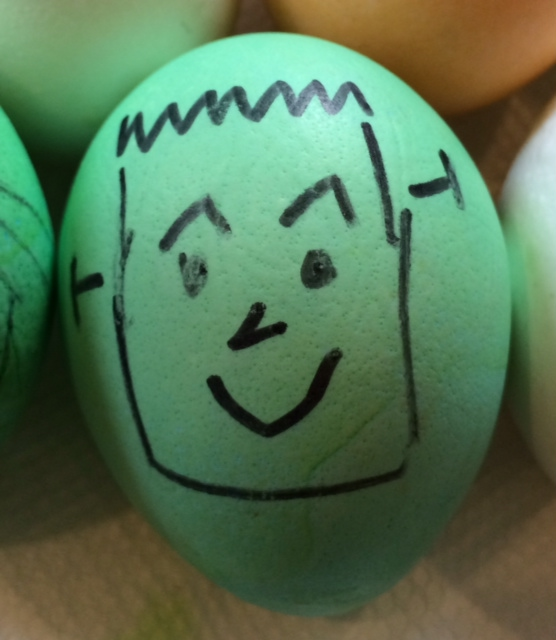 The family I work for had left over Easter egg dye kits sitting around the house so I used a Sharpie marker and orange and green egg dye we made some Halloween themed hard boiled eggs. You might not want really little kids using Sharpie markers. 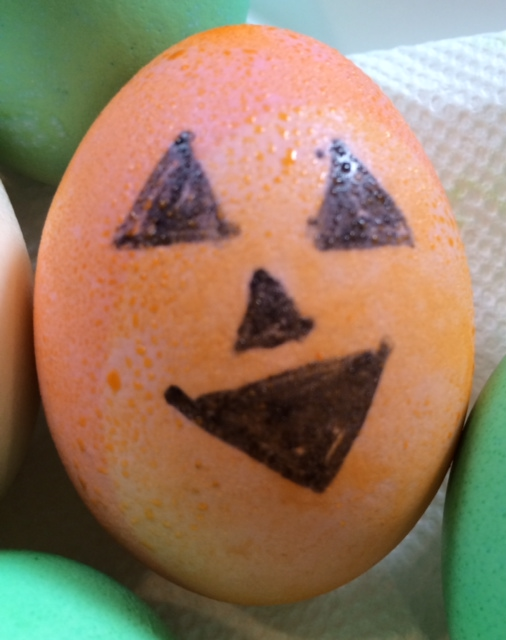 But, I let my four-year-old use it to make ghosts and jack-o-lanterns while I made the witches and Frankenstein eggs. Children of any age will enjoy dipping the eggs in dye. 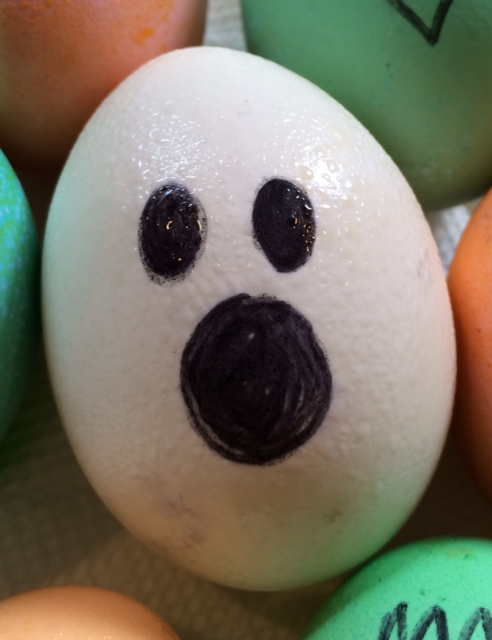 If you don’t have an Easter egg dye kit you can still dye eggs. First put some white eggs in a pot and put on the stove until the water gently boils. Let them boil for at least five-minutes before turning off the burner. Put the pot under running cold water. Pat the eggs until they are dry and let them cool completely. In a coffee mug mix together a 1/2 cup of water, one tablespoon of vinegar, and several drops of food coloring. Use about 20 drops of each color, but you can adjust this however you like. Carefully place one egg in each cup of food coloring. Watch the eggs carefully and remove them when they reach the desired shade. Use a spoon to remove the egg and place it in an egg holder or on a paper towel to dry. 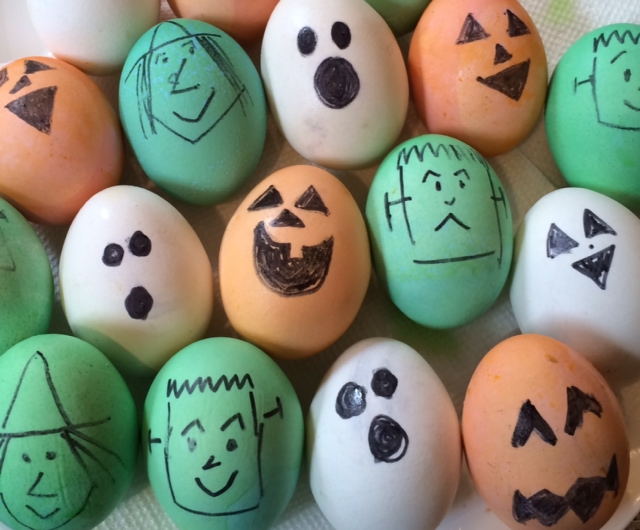 Once the eggs are dry, use a black Sharpie markers to draw your ghosts, jack-o-lanterns, Frankensteins, and witches. The idea and photos are by Stephanie Felzenberg. Great idea! Fun activity for the kids. How long did this activity run for before the kids had had enough? Did it preoccupy them for a while? Depends on the child nannyknowshow. 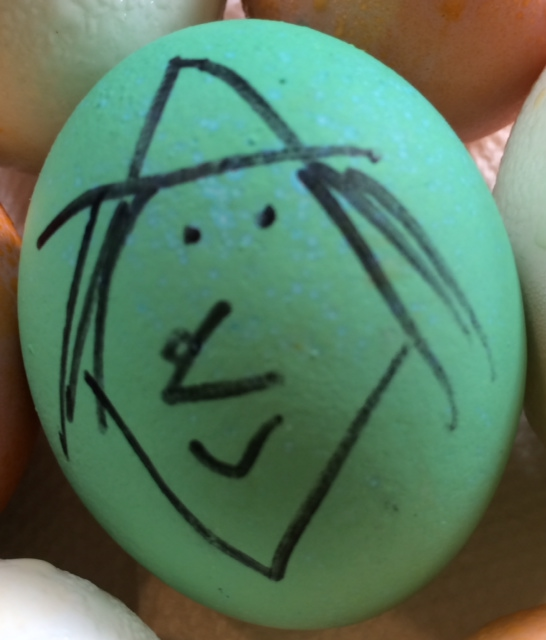 For older kids that can draw on the eggs and use a Sharpie marker it takes up plenty of time. I found the little kids are captivated watching the eggs dye too. I love the idea. I am taking care of a toddler, so my activities are limited, but this seems fun for future!